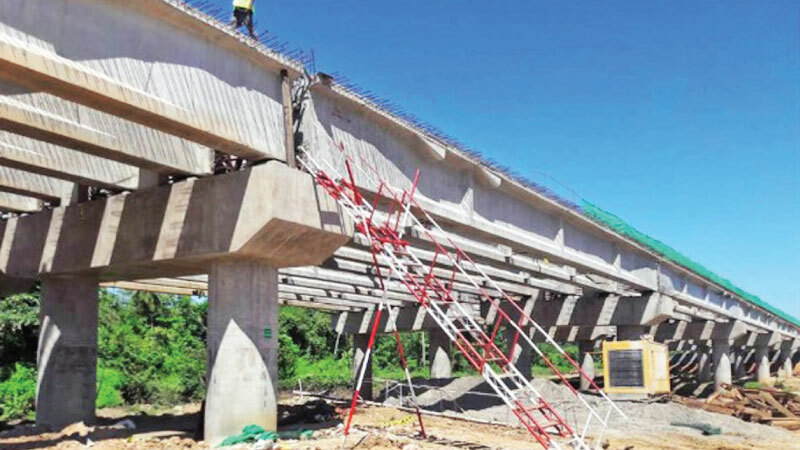 Access Engineering which was awarded the constriction of the Central Expressway (Project Section – 2, Package – A), is progressing swiftly in their work. The Central Expressway from Kadawatha – Dambulla and the link Expressway from Pothuhera – Galagedara with the Highway link to Ambepussa, is the fourth Expressway in Sri Lanka which would connect major cities such as Gampaha, Veyangoda, Meerigama, Pothuhera, Kurunagala, Rideegama, Melsiripura, Galewela, Dambulla, Rambukkana and Galagedara. The development of the Central Expressway (CEP) which spreads to a total length of 169.53km, is executed under four sections, namely, Sections 1 : Kadawatha (0.0km) to Meerigama (37.1km), Section 2 : Meerigama (37.1km) to Kurunagala (76.8km), Section 3 : Pothuhera (0.0km) to Galagedara (32.5km) and Section 4 : Kurunagala (76.8 km) to Dambulla (137.1km). The total sections of CEP - 2; from Meerigama – Kurungala, which is 39.7 km long, is subdivided and each section is awarded to contractor consortiums which are selected from the pre-qualified local contractors. Package-A of CEP-2 which is 9.71km is entrusted to the Contractor Consortium; ICC-ACCESS-(NAWALOKA-KDESH Jv). Out of the total stretch of 9.71km, the construction of CH 38+927 to CH 40+430 and CH 40+730 to CH 46+800 is entrusted to Access Engineering PLC. The project is initiated by the Road Development Authority under the directives of the Ministry of Higher Education and Highways (MoHEH).